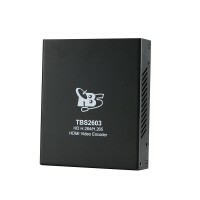 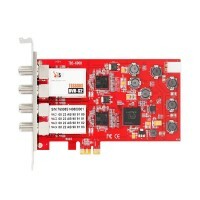 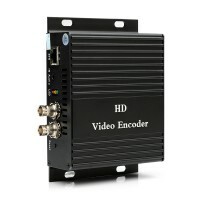 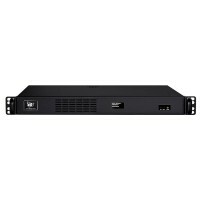 TBS6909 is a powerful DVB-S2 octa tuner card with PCI Express interface, it is capable of receiving SD/HD digital TV channels from 8 different satellite transponders simultane..
TBS6909-X is a powerful DVB-S2X/S2 and annex M octa tuner card with PCI Express interface, it is capable of receiving SD/HD digital TV channels from 8 different satellite transpond..
TBS6910 DVB-S2 Dual Tuner Dual CI PCIe Card is a twin tuner digital satellite TV for watching or recording two different channels from two different frequencies simultaneously. 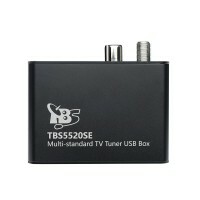 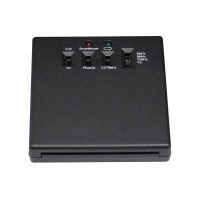 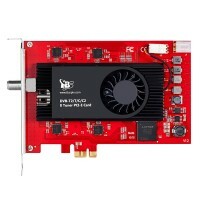 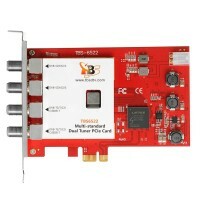 You..
TBS6928SE PCI-E DVB-S2 TV Tuner CI card is the advanced satellite TV tuner built with Common Interface support, which allows insertion of CAM and smartcard for paytv. 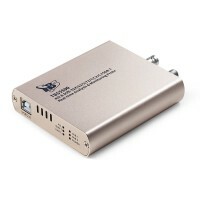 It uses advan..